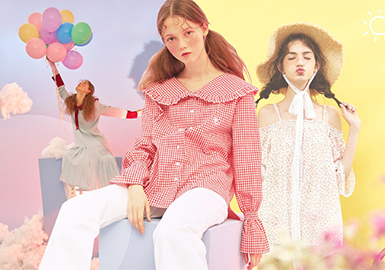 In 2020 S/S, shirts are simple and more versatile. 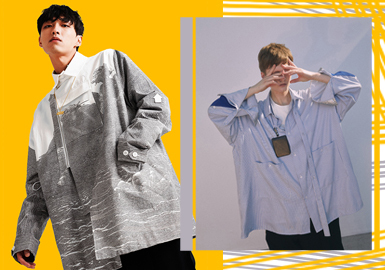 The smock-style shirt is refreshing. Work shirt also grabs attention. 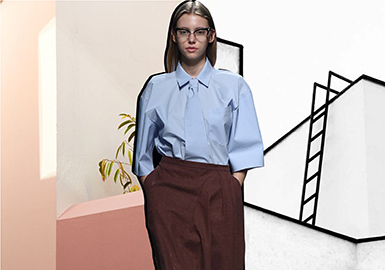 Two-piece shirt, belt-linked shirt, high-waist shirt and hollowed out shirt all make silhouettes in 2020 S/S diverse. Shirts are staples for business causal looks. 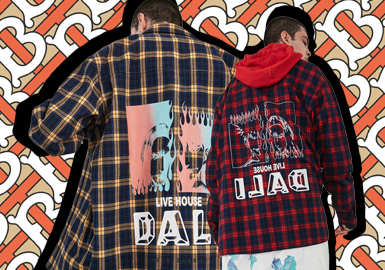 Offbeat prints show individuality. Shirts in neat silhouettes feel cool and stylish, pairing with leisure pants. 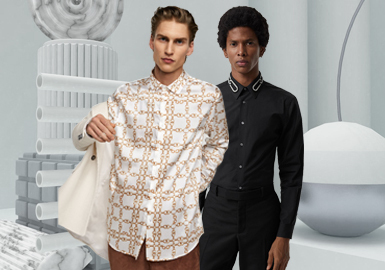 This season, shirts emphasize a more distinctive style. 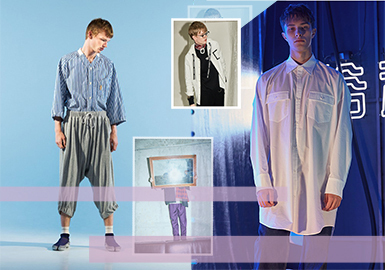 Oversized, deconstructed, multi-pocket, street chic and check shirts feel creative. Shirt is a unisex item. 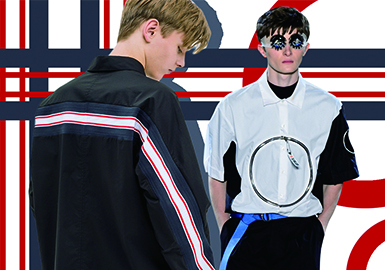 Minimalism and gender-fluidity are key, contributing to stylish and utility looks. Shirt is a must-have for boys in all seasons thanks to its versatility. 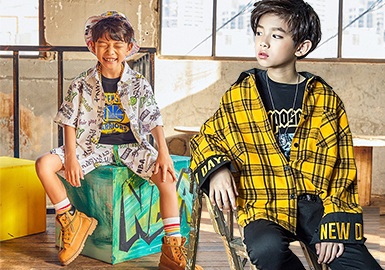 In S/S 2020, boys' shirts focus more on artistic and functional styles. Loose silhouette is key, zipper, patch pocket and print breathe life into apparel. This season, shirts veer away from traditional styles but opts for more funky looks. Slouch silhouette, elongated design, work style, zipper, webbing and paneling are practical and distinctive. Check shirts are regarded as unfashionable items, favored by science geeks. But in recent years, retro checks gain popularity. 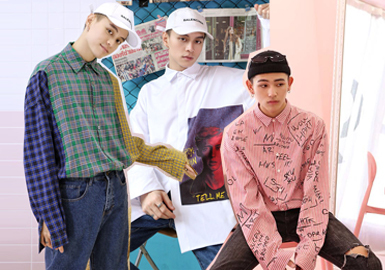 Veering away from classic colorway and styles, check shirts become more stylish. As a must-have item, shirt is versatile for simple looks. Causal silhouettes entice young customers. 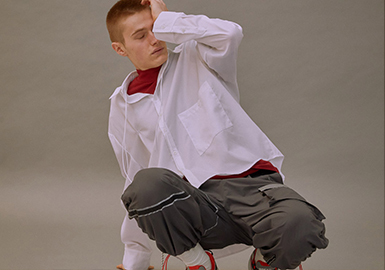 A series of creative shirts emerge in this season, key profiles are spliced style, hooded style , baseball shirt or deconstructed shirt in recent years. 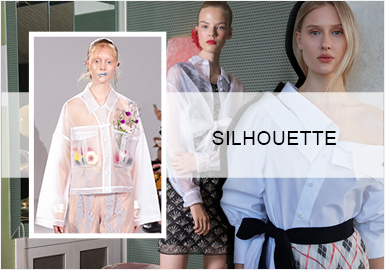 The shirt's silhouette for S/S 2019 tends to be bolder and more exaggerated. Influences of retro style are seen on details. The romantic finishes continue, while individual and dramatic interpretations are preferred.